OLD PARKED CARS. : 1982 Cadillac Cimarron. I'll be honest, I like the cimarron. I loved the fact that it came with a stick shift standard,the first since the early 50's. and that it contradicted everything Cadillac was before it came into existence. that's part of the reason I love it, it's different. just imagine a turbo'd one of these. it's one cool compact caddy. I recall reading about the Cimarron in my parents' Wall Street Journal in the early 80's, about the time it was to be released. 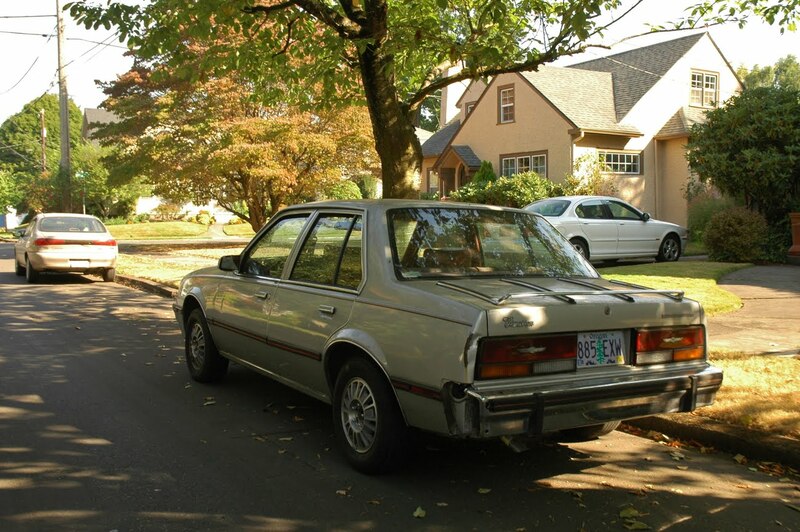 A small, sporty 4-door sedan, it was supposed to compete with the Honda Accord. Who had ever heard of a 4-cylinder Caddy? That's the weirdest Ascona I've ever seen. 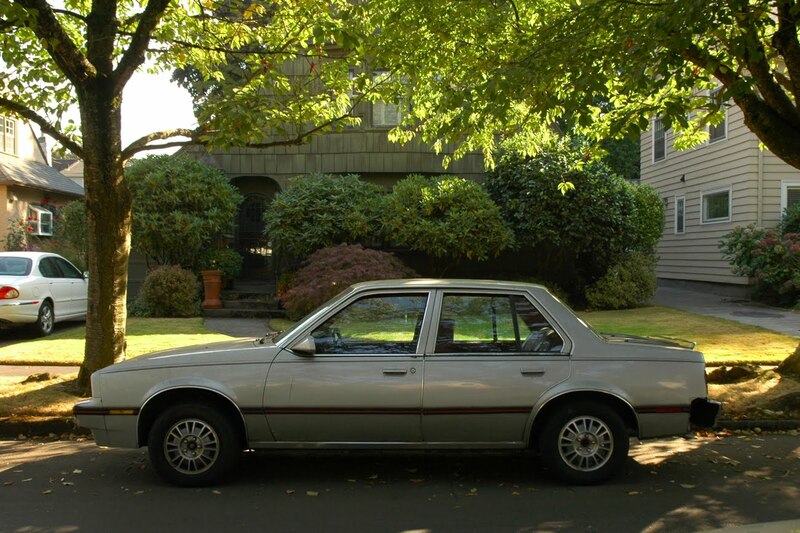 My driving instructor had one of these as his personal car and I ended up taking one of my lessons in it. Before: "Wow, cool, I get to drive a Cadillac!" After: "Wow, who knew Cadillacs sucked so much?" 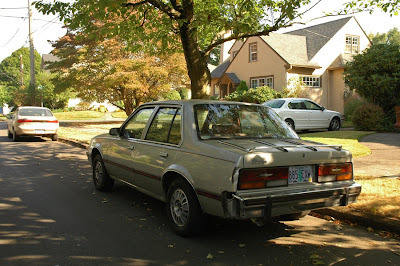 Dreadful car, still among the worst I've ever driven. Sweet, A Cimarron, and in damn good condition to boot. 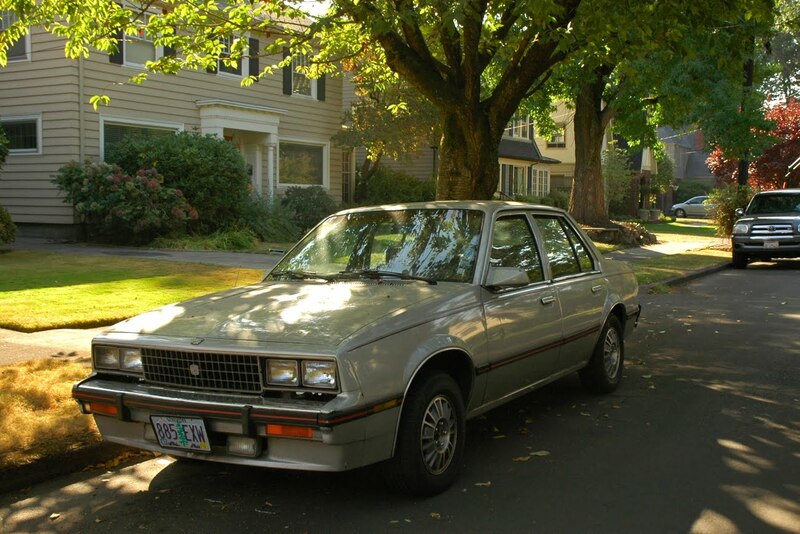 Everything that was ugly, lazy and sinful about GM in the 80s on four wheels. It's just a Cavalier with the Cadillac name, trimmed out a bit differently. Another sad reminder of the many horribly designed, cheaply made excuses for American cars that spanned from the mid 70's through the 80's and most of the 90's. Maybe a small step above the Chevette? Luxury economy, now your really staying put on that corporate ladder!